Posted on March 22, 2019 at 9:33 am. At eating disorder treatment centers, accountability plays a major role in helping clients eliminate their symptoms and become recovered. In the early stages of treatment, clients receive assistance with accountability through oversight and support from the fully recovered staff members. As clients become recovered, however, they must learn how to be fully accountable for their own health and wellbeing. To ensure clients can achieve this goal, they must learn to use self-monitoring and journaling to their advantage. Staff members provide the instruction needed to master these skills and apply them throughout the treatment process and after graduation. With this approach, clients can use these tools to remain mindful and identify when they need extra support and resources in remaining fully recovered. What Is Self-Monitoring – and How Do Clients Learn How It Works? Self-monitoring centers around remaining mindful of thoughts, feelings, and behaviors, and then recording them for later review. Clients also record their food intake and mealtime experience information in their notes. Tracking these areas can help clients notice patterns that indicate the need for additional support, but they must know how to decipher that data. It is also vital that clients know how to track effectively to build a solid outlook of their wellbeing outside of eating disorder facilities. Many clients need mindfulness training and other helpful activities to begin to learn the skills that support great self-monitoring. Learning to pay close attention to thoughts, feelings, and behaviors can prove difficult for many people in eating disorder treatment centers. So, it can take a lot of practice to develop these skills and apply them enough to create useful data records and use them to remain accountable. Eating disorder treatment professionals help their clients learn these life skills and apply them throughout the process of becoming recovered. Clients can practice these skills in a controlled environment inside the inpatient treatment centers before applying them to real-life situations on outings and after graduating. Through this gradual building of skills, clients can gain confidence in self-monitoring and journaling to remain fully accountable to their healthy selves. Journaling is the mindful recording of all the things clients notice while self-monitoring. Through the recording of thoughts, feelings, and behaviors, clients can see where they need extra support and reach out for resources before problems escalate. Journaling about food intake and meals also aids in remaining accountable to stay fully recovered after graduating from eating disorder treatment centers. Writing down what they eat and how they feel is just a small part of the journaling process for clients at eating disorder recovery centers. Journaling can act as an outlet for larger than life thoughts and feelings. They can voice their concerns, address their challenges and find relief from many problems by simply writing that information down. Through this process, it is possible for clients to identify the stressors that contribute to the development of disordered thought patterns and behaviors. Identifying their main stressors and challenges can help the most in remaining recovered. With the identification of these areas, it is possible for clients to find healthy coping skills that assist in mitigating those factors. Through this process, clients at eating disorder facilities can build the toolbox of skills they need to handle all types of situations. Clients at eating disorder recovery centers have to learn how to use self-monitoring tools before they can utilize this skill effectively. Here are a few ways clients can work on building this skill. Treatment options for eating disorders almost always include mindfulness training. With this training process, it is possible for clients to start cracking their inner code and making progress in their journey toward recovery. Simply noticing and acknowledging personal thoughts, feelings and behaviors can prove challenging for many people working toward becoming recovered. Before they can be recorded and utilized properly, it is a must that clients are accurate and honest in deciphering these inner workings. Mindfulness helps with this by assisting clients in noticing how they are feeling, thinking and acting at any given moment. Training this skill requires a lot of living in the present moment rather than dwelling in the past or looking too far forward. With a moment by moment account of how they are doing, clients can remain accountable for their progress toward becoming and remaining recovered. As mindfulness develops, self-monitoring becomes much easier for clients. With worksheets, clients can learn how to journal effectively and include all of the most useful information on every page. The worksheets show the structure that will best support the patient’s recovery goals. The sections on the worksheet may cover food intake times and amounts, dining location and any associated thoughts and feelings that arose during the meal. The sections may also have room to note any disordered behaviors that occurred and the situations that led up to those events. Clients can move onto their own journaling materials as they learn how to apply the worksheet structure appropriately. While becoming recovered, clients must find the practices that work best for them to achieve great results in monitoring their wellbeing. With the move to journaling on their own, clients gain confidence in controlling their own journey toward becoming recovered. Upon moving past using daily worksheets as a journal, clients can utilize almost any binder or notebook as their tracking location. Clients should try to stay away from digital recordkeeping methods, as physically writing the information down helps commit it to memory. Pen and paper records also help with accountability as they are difficult to change or erase without leaving evidence. Digital records can be easily altered or erased as difficult feelings, such as shame and guilt, arise. Staying fully present and in the moment while journaling also assists in facing and addressing the challenges that arise. Clients must record their thoughts, feelings, and behaviors in real-time to avoid making mistakes while recalling information at the end of the day. Writing down events as they occur results in the most accurate, honest information possible. To make sure this happens each day, clients must have their journal on them at all times. Clients also have to make an effort to remain mindful and receptive throughout each and every day. With this dedicated approach, it is possible for clients to gather the data they need to remain recovered after graduating from eating disorder facilities. Each journal entry opens the door to the patient’s mind and their innermost thoughts and feelings. Clients can use this glimpse into their own minds to their advantage by looking for trends and patterns that appear. These trends tend to reveal the underlying problems that trigger eating disorder symptoms, including disordered thought patterns and dysfunctional behaviors. Clients can look at the type of food they eat, when they eat it and how much they consume with a focus on the situations and environments surrounding those behaviors, for example. By looking through that lens, clients can identify the challenges they face in remaining recovered. They must record their observations about the data and retain those records for later review as well. Different mindsets can reveal things clients may not have considered before, so journals and observation data can provide immense value time and time again. When needed, clients can review the journals with the staff members at outpatient eating disorder treatment facilities for helpful insights. The new perspectives can help in making sense of the data and creating healthy coping mechanisms to handle the identified challenges. Eating disorder therapists can also set up helpful exercises that assist clients in coping with the challenges that stand in their way of becoming and remaining recovered. Fully recovered staff members can also help brainstorm activities to build improve coping skills, as needed, to overcome these challenges. With self-monitoring, clients can constantly assess their state of mind and overall wellbeing to remain fully recovered. Upon graduating from eating disorder recovery centers, clients must utilize the skills they learned to remain recovered while handling real-life situations every day. Self-monitoring and journaling support all of the other skills learned in treatment, making them some of the most important clients will use. With these two skills, it is possible to identify challenges in remaining recovered and reach out for help before disordered thought patterns and behaviors start to take hold. A commitment to continuing these practices outside of treatment is paramount in remaining recovered and staying accountable to the healthy self. Clients can make this commitment in treatment by mastering these skills with regular practice. Treatment centers encourage this practice through life-enhancing outings and daily life activities at eating disorder facilities. The ability to apply these skills to real-life situations can promptly reveal the patient’s strengths and the challenges they face at the eating disorder recovery center. As clients move from inpatient to outpatient eating disorder treatment, they can begin to use self-monitoring and journaling while at home. This is an important transition as it allows for the full immersion in real-life situations while giving clients the support they need to remain recovered. Clients can address the challenges they face in self-monitoring and journaling at home while going through the outpatient treatment process. Eating disorder therapists will help their clients work through these problems to strengthen their journaling and self-monitoring skills for continued wellness after graduating from the eating disorder treatment center. Eating disorder therapists spend a lot of time helping their clients understand the patterns that arise in their own data. This is especially true when looking at the patterns that show the patient could benefit from a little extra help and support. With the proper techniques, clients can use these patterns to learn when they should contact their care team for treatment options for eating disorders. After becoming recovered, clients often need a little extra help to remain accountable to their healthy self. Through eating disorder facilities’ alumnae services, clients can build their peer support network and stay connected with their treatment staff. If problems arise in remaining recovered, clients can also speak with the admissions specialists to determine if they could benefit from treatment options for eating disorders. The admissions specialists can also help clients determine if they could receive assistance from outside care providers. This collaboration in acquiring the support clients need is only possible with accurate and honest self-monitoring and journaling practices. Which is why clients receive so much support from the fully recovered staff in learning these skills at inpatient and outpatient eating disorder treatment. With guidance and training, clients can master these life skills and apply them to best cope with the demands of daily life. Clients who regularly journal and self-monitor remain highly accountable to their healthy self through treatment and after graduation. Posted on March 14, 2019 at 1:53 pm. As clients near the end of their journey in becoming fully recovered, they will need to prepare to transition out of the eating disorder treatment environment. The best eating disorder treatment centers aid in this transition by offering a full range of support services. Through these alumnae services, clients can remain connected to the treatment center staff and peer groups. Their family members can even acquire support services to continue their journey by their loved one’s side as they remain recovered outside of treatment. Clients can work through the transition from the treatment center to home much easier if they spend some time becoming familiar with the available alumnae services. Clients can begin this process with confidence by learning about the types of services available and their full range of benefits. Many obsessive eating disorder treatment centers regularly offer scheduled therapy sessions for alumnae. These sessions are structured so that alumnae can attend on their own or with family as challenges arise in recovery or to celebrate their successes. The alumnae therapy sessions have many different structures and attendees to accommodate all involved parties. For example, the therapy sessions may include just the client and their family or many other families as a group. Past clients can also attend sessions that consist of just alumnae or all the community members at the treatment center. Through social media platforms, eating disorder treatment centers can offer their alumnae a way to connect with their peers and acquire support. The creation of groups on these sites gives alumnae access to like-minded individuals whenever they need advice and support. The connections they build and maintain after graduating from eating disorder treatment programs can serve them well in remaining recovered. These connections give clients a way to mitigate stress and stop from feeling so alone in their journeys. By sharing their challenges, hopes, and successes with their peers, people with eating disorders can gain new perspectives that help them remain fully recovered for life. Through educational opportunities, clients can gain the understanding and compassion they require to delicately handle their own needs. Alumnae have access to many different educational opportunities from their treatment centers. These opportunities may come in the form of online educational materials, including webinars, which help promote the development of healthy coping skills. They may also help alumnae better understand the reasons behind why they feel, think and act certain ways in many different situations. With a better understanding of their inner self and motivations, people with eating disorders can overcome the challenges that could otherwise complicate the process of remaining recovered. After clients graduate from the eating disorder program, it might feel like they are on their own, making building a connection to the treatment center more important than ever. They still have the full support of their care team at the obsessive eating disorder treatment center by tapping into the available resources. They can maintain their connections to those individuals and the center as a whole with alumnae services. Maintaining close connections to the treatment center and the fully recovered staff can give alumnae the confidence to face daily life without returning to disordered thought patterns and behaviors. If alumnae start to have trouble with these areas, their close connection to the treatment center can help ensure that they always know where to go to acquire additional support. The treatment center staff can help them find outside resources and other services that can assist in staying on track in remaining recovered. Clients can attend the webinars and onsite therapy sessions, for example, to renew their motivations and overcome the challenges they encounter on their journey toward recovery. Therefore, immediately after graduating from their programs, clients are given access to the leading ways to remain connected with the treatment center and its staff. Alumnae can stay connected with the treatment center staff and their peers through the center’s official blog, newsletter and social media groups. A well-maintained and regularly updated blog provides immense information about eating disorders, their symptoms, and the leading treatment options. The blog content may also explore every facet of becoming and remaining recovered from eating disorders of all kinds. Through these stories, clients can retain their connection with the treatment center philosophies and care approaches. 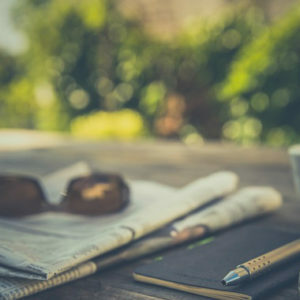 The alumnae newsletter provides similar benefits in helping past clients remain connected. Social media groups give alumnae a place to have real-time conversations with their peers. They can engage in lively discussions about life skills, self-care and other areas that pertain to remaining recovered. Through these connections, they can obtain the social support they need to tackle the day to day challenges that arise. No matter how alumnae choose to stay involved, actively maintaining these connections can only serve to help them remain recovered through the toughest challenges that life brings. Educational opportunities provide perspective and motivation that can wane as alumnae return to daily life outside of eating disorder treatment near me. These educational opportunities give alumnae the information and tools they may need to overcome tough problems without relying on destructive habits. If they prefer to digest the information at home, they can often access educational resources through a secure online portal. The treatment center portal may be filled with exceptional content that provides all the info needed about eating disorder symptoms and treatment approaches. Alumnae can also attend regular webinars that explore eating disorder topics in great detail. These topics may introduce helpful life skills and techniques clients can use to move through their daily lives with confidence. As these webinars are led by fully recovered staff members, they provide immense value to alumnae looking for the strength to remain recovered outside of treatment. They can take the actionable skills presented during these webinars and apply them to their own lives to make everyday situations much more manageable and enjoyable. If alumnae are not able to attend the live webinars or simply want to review the information again, they can sign in to the online portal to view them at their leisure. With each webinar, it is possible to explore a different topic, making this an important part of the toolbox alumnae can use in remaining recovered. They can save the videos that help them the most, for example, and return to those recordings as needed to remain on track in staying recovered. As clients venture out on their own after graduating from the best eating disorder treatment centers, it is important that they to continue to make progress in addressing their mental and physical health. Alumnae can verify they are on the right track by checking in on a regular basis at individual, group and family therapy sessions. There are many different therapy types to choose from, so alumnae can use each one as a tool in promoting their continued recovery. Eating disorder treatment centers offer individual and multi-family group therapy sessions to their alumnae and current clients. The individual family sessions give these individuals a chance to bring together their loved ones and have a private chat with the therapists. These sessions can focus on the aspects hindering continued progress or general topics that help alumnae share and assess their current mindsets. Alumnae and community groups exist as well for another layer of support. In these groups, alumnae can come together with their peers to collaborate on recovery techniques of all kinds. They can share their challenges and successes with their peers to gain insights and celebrate the progress they have made in this journey. They can reach out to the eating disorder treatment center anytime therapy session might be beneficial. They will schedule their past clients and any family or friends who want to come too, into the sessions to ensure everyone has the support needed to remain fully recovered. Alumnae support just plain makes it easier to face the challenges that naturally occur throughout the day and night. Past clients can easily reach out for help and gain support when they maintain close connections to the treatment center staff and their peers. The support they receive can go a long way in restoring their motivation levels and helping them overcome the key challenges in their lives. Alumnae can return for support anytime, making it easier than ever to navigate the twists and turns of daily life. As they encounter difficult situations that overpower the tools in their toolkits, they can turn toward their peers and the fully recovered staff at the treatment center for dedicated support. Knowing that they have support available when they need it can help ensure that they feel comfortable reaching out when challenges loom ahead. The eating disorder treatment professionals moderate all group activities and present educational materials to give all their alumnae the support they need. They can rely on their knowledge and expertise whenever they need to brush up on their skills and add to their toolkits. Eating disorder therapists will provide guidance on navigating the issues clients face as they remain recovered while outside of eating disorder treatment near me. Each treatment center for eating disorders offers a different range of alumnae services. They can explore their options by speaking with their treatment team about what is available. The fully recovered staff will guide clients to the support resources that they can access after leaving the treatment center. They may receive web links, login information and peer group invites from their care team to start. The care team is always available if alumnae need additional treatment services while out in the community. As clients near graduation, the treatment team will provide an effective aftercare plan for them to follow. This plan will include the different types of skills that clients can use to remain recovered outside of treatment. They will also receive information about aftercare providers they can go to if they need extra support. If their needs go beyond the services offered by their aftercare providers, they can contact the eating disorder treatment center’s admissions specialists to talk about their options. Through the assessment of each client’s needs, care providers can determine the best level of care to provide at that time. Alumnae can return as many times as they need to acquire the support that helps them remain recovered. When clients graduate from eating disorder treatment, they do not set out on their own, though it may feel like it at first. They have their aftercare providers, the fully recovered staff and their peers standing behind them and providing their endless support. By maintaining close connections with these groups, they can reach their personal recovery goals and continue to follow their aftercare plan to remain recovered. Posted on March 14, 2019 at 6:34 am. Monte Nido & Affiliates Education Training Manager Jacquie Rangel recently spoke at a high school to help educate the students about eating disorders and self love. Jacquie shares a two part series on her experience and time spent with the high school students. Just over a week ago now, I was invited with Clementine Treatment Programs to Miami Beach Senior High to speak to the Psychology Club about eating disorders. The president of the Psychology Club had coordinated to have us come and present during National Eating Disorders Awareness Week. We were asked to address the many different “types” of eating disorders. In addition to providing bio-psycho-social information to the group of well-educated and engaged students, my mission at the end of the day was to help bring awareness around why this topic is of importance to each and every person in the crowd, whether they struggle with an eating disorder in their lifetime or not. The student who invited us to MBSH demonstrated the important awareness that eating disorders are not limited to what typically comes to mind when we hear mention of this condition. This was exemplified when I asked the group, “What do you think of when you hear, ‘eating disorder’?” The first answers in the crowd, as is the case with most groups, were consistent with the typical portrayal we see in media. Not to downplay the manifestation of anorexia-nervosa as an eating disorder. Though it is the mental illness with the highest mortality rate (beyond substance use disorder, alcoholism, etc.) it is also the most rare presentation of eating disorder. I shared with the group that eating disorders also present as bulimia-nervosa, binge-eating disorder and ARFID and provided some context as to what those particular expressions of eating disorder look like. Still, the question of, “so what?” beckons. From the moment I entered the room and was graciously greeted by a group of attentive students, I could tell I was in the presence of leaders. These students are in the Advanced Placement and International Baccalaureate tracks in their school. Having gone through those programs, I understand the doors that are already opening for them a couple of years down the road when they study in University and beyond when they begin their careers. They are not only leaders now in their community, but they are some of the leaders that will shape broader communities in the future. They are actual influencers, and I shared this observation with them. Though they might not all realize it, people already look to them for guidance and as role models, and that will only magnify as time goes on and responsibilities accumulate. I shared with them that building awareness around eating disorders is important not only because they are influenced by the same societal pressures that simply debilitate individuals with eating disorders, but also because this understanding is, in my opinion, a matter of diversity. Everybody knows someone with an eating disorder in their lifetime whether they are aware of it or not. Having a sensitivity to the mind of someone who is actively struggling empowers an individual to communicate in a way that helps the affected person. Though it is not their responsibility to provide help, they might feel inclined to do so and if that is the case, they might think back to our discussion of how a person with an eating disorder is likely in denial and taking most commentary around them extremely personally. One of the students, for example, shared the observation that in their experience it appears that the person with the eating disorder gets angry and does not want to hear that they need help. I shared a cliche I had actually stumbled upon earlier that same day, “The truth will set you free, but first it will piss you off.” The group laughed and understood how this applies in the case of a person in denial of their condition. Posted on March 7, 2019 at 6:00 am. Join us in reading soulful articles we have cultivated from across the web. If you have found an article you feel is inspirational, explores current research, or is a knowledgeable piece of literature and would like to share with us please send an e-mail here. Posted on February 28, 2019 at 9:59 am. If someone has an eating disorder, his or her relationship with food and the idea of eating, in general, is strained. Depending on the type of disorder, he or she may be obsessed with food and prone to episodes of binge eating or the individual may have negative feelings about food and avoid it as much as possible. None of these relationships are ideal. Fortunately, an eating disorder residential treatment program can help the individual to recover from the eating disorder and return to a positive relationship with food and eating. What Is Residential Eating Disorder Treatment? Eating disorders are serious illnesses that can affect a person’s life in many ways. Although several different types of eating disorders exist, they all involve a troubled relationship with food. While some people with eating disorders restrict their intake of food, others may eat large amounts of food in one sitting. Some people with eating disorders may also use unsafe methods, such as induced vomiting, to rid themselves of calories they consume. All eating disorders can lead to serious consequences, and in some cases, can even be fatal. As a result, it is important for anyone who is experiencing the symptoms of an eating disorder to take the issue seriously and enter a professional treatment program as soon as possible. A more intensive therapeutic experience: Residential eating disorder programs are immersive, allowing patients to focus all of their energy on their recovery. Day treatment programs, on the other hand, allow patients to return home, which can cause them to become distracted or face stresses that make recovering more difficult. Although some patients must utilize day treatment, many patients find the intensive experience of a residential program to be more effective. Access to valuable resources: Residential eating disorder treatment provides patients with direct access to a wide variety of resources on a continuous basis. For example, these programs may offer a range of treatment options, including individual therapy, group therapy, family therapy, education, medical care and more. Most residential eating disorder treatment centers also have experts on staff to provide patients with the guidance and support they need throughout the treatment process. A calm environment: Residential eating disorder treatment centers are designed specifically to serve patients who are recovering from one of these complex disorders. They facilitate a relaxing, comfortable environment that eliminates stress and improves the patient’s ability to recover. This can lead to a faster and more lasting recovery from the eating disorder. Improving the relationship with food is one of the most important parts of treating an eating disorder. Here are six ways a person’s relationship with food and eating can improve as a result of residential eating disorder treatment. 1. Eating disorder residential treatment helps the individual understand what an appropriate relationship with food looks like. In many cases, someone who has an eating disorder may not know what it means to have an appropriate relationship with food, especially if the individual has been dealing with the symptoms of the eating disorder for a long time. A residential eating disorder treatment program can help patients learn about the type of relationship they should have with food so they can identify the areas that need to be improved. For example, someone who struggles with anorexia nervosa may view food as an “enemy”. However, food is a necessity for living one’s life. Showing this patient the difference between his or her view of food and an appropriate view of food is the first step to improving this particular relationship. 2. Residential treatment programs provide nutrition education. As a patient with an eating disorder, someone may have a poor relationship with food partly because he or she has had negative experiences with food in the past, such as weight gain. Nutrition education helps patients understand what types of food they need and what amounts are appropriate in order to get the most benefit out of this energy source. Once someone understands how he or she can best use food to his or her advantage, the relationship with food and eating will begin to improve. 3. Eating disorder residential treatment helps patients understand how their disorder developed. Many patients who have been diagnosed with eating disorders do not understand how their disorders developed. Because they do not understand what went wrong in their relationship with food, it can be difficult to make improvements. In most cases, residential eating disorder programs begin the treatment process by helping patients to identify the factors that led to the development of their eating disorders in the first place. Once patients are aware of these factors, they can understand why their relationship with food is suffering. 4. Residential treatment programs help patients take steps to resolve the issues that led to the development of the disorder. After patients have been made aware of the issues that caused them to develop an eating disorder, they need to resolve these issues in order to improve their relationship with food and eating. Most residential treatment programs provide patients with therapies and other support they can use to complete this process. While in residential treatment, patients may participate in many different types of therapy according to a structured schedule. During therapy, patients will learn how to address their issues head-on and work toward a full and lasting recovery. 5. Eating disorder residential treatment helps patients develop coping skills to deal with triggers. After a patient completes residential eating disorder treatment, he or she will return to normal life. Unfortunately, most patients will eventually face triggers, which are feelings or events that make them want to engage in the behaviors associated with their eating disorders. If a patient is not able to deal with these triggers effectively, he or she may relapse, leading to a worsened relationship with food and eating. During an effective residential eating disorder treatment program, a patient will learn coping skills that he or she can use to deal with triggers even after the program is complete. These skills help to ensure the patient maintains a full recovery and a better relationship with food. 6. Residential treatment programs help patients resolve co-occurring disorders that may affect their relationship with food. Eating disorders are not the only issues that can have a negative impact on your relationship with food. For example, if a patient has anxiety or depression, he or she may use food as a way to escape from these issues or as a source of comfort. Many residential eating disorder programs offer treatment for patients with co-occurring psychiatric problems, such as depression or anxiety disorders. Addressing these issues can help to improve the patient’s relationship with food even further, ensuring he or she has a healthy relationship with food and that the patient is not using eating as a way to deal with mood swings, uncomfortable feelings or any other psychiatric concern. Whether an individual has the symptoms of anorexia nervosa, bulimia nervosa or another type of eating disorder, entering an appropriate treatment program is the best way to deal with the disorder and begin on the path to recovery. However, not all residential eating disorder programs will provide patients with the same quality of care. In order to ensure the patient is receiving the best care possible for his or her needs, it is possible to consider all options carefully before enrolling in a program. One issue to consider when comparing different eating disorder residential treatment centers is the length of the program offered. While some patients may be able to recover from an eating disorder quickly, others may need to remain in a facility for a longer period of time in order to prevent relapse. Patients should be sure the facility chosen will allow them to remain in treatment for as long as they need. The best facilities are those that will allow patients to recover at their own pace and reevaluate their needs throughout the program to see if a longer stay may be necessary. Another issue to consider when comparing eating disorder treatment programs is the type of therapies used. In general, it is best to look for a treatment facility that offers a wide variety of treatment options, such as different types of counseling, medical care and alternative therapies. Patients should also look for a treatment facility that continues to provide support to its patients even after they have completed the treatment program. These services, which are known as “aftercare,” can dramatically reduce the incidence of relapse among people who have graduated from eating disorder treatment. A third issue to think about when choosing an eating disorder treatment program is the facility’s reputation and success rate. The facility’s reputation provides information about how past patients have responded to treatment and whether they would recommend the program to others. Likewise, the facility’s success rate tells you how effective the facility’s programs have been at helping patients to achieve full recovery from their eating disorders. Potential patients can learn about a facility’s reputation and success rates by reading reviews from program graduates and/or contacting the facility directly to request information. At Monte Nido, our goal is not only to help patients eliminate the symptoms of their eating disorders, but also to help them develop a better relationship with food so they can live their best life. The experts at our facility understand how eating disorders develop and how they affect our patients. Using this information, we create customized treatment programs designed to meet the unique needs of every patient we encounter. Monte Nido offers a wide variety of therapies, including individual therapy, group therapy, family therapy, psychiatric care, medical treatment and more. We also offer nutrition education, exercise education and treatment for people who have co-occurring disorders, such as depression, bipolar disorder or PTSD. Studies have shown the majority of patients who complete our eating disorder treatment programs report improved symptoms, even several years after leaving the facility. We offer treatment for all types of eating disorders, including binge eating disorder, anorexia nervosa, bulimia nervosa and more. Please contact us today at 888.228.1253 to find out how we can help you become fully recovered.